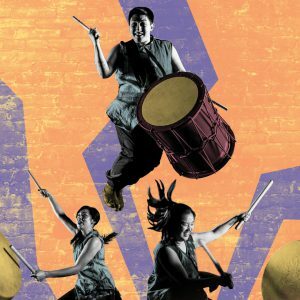 MINNEAPOLIS (Nov. 14, 2018) — Taiko Arts Midwest presents the best national and local taiko talent for a weekend of pure energy and fun. Join Ensō Daiko and their special guests, Tiffany Tamaribuchi, Megan Chao Smith, Sascha Molina and Nicole Stansbury all combine for a high energy performance. Tiffany Tamaribuchi competed against 27 male competitors, becoming the first woman and first non-Japanese to win the All Japan Odaiko Competition. Megan Chao Smith was her sidekick for that contest. Now both of them will be onstage together, raising the roof at the Southern in a concert not to be missed. Saturday Nov. 17 at 2:00 p.m.
Saturday Nov. 17 at 7:30 p.m.